SD Skate Life was established in 2013 in order ensure the future of skateboarding. 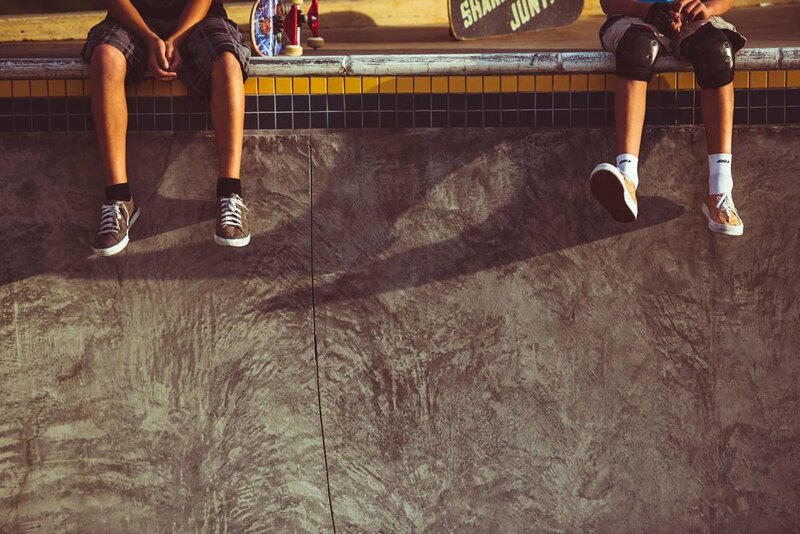 The goal of our site is to connect beginning skateboarders with passionate instructors who have extensive experience teaching new skateboarders how to build balance, coordination, and confidence both on and off a skateboard. Our mission is to create a network of skateboarding education services and recreational skateboarding opportunities in order to both teach and inspire the next generation of skateboarders in a safe and healthy environment. We are a skateboarder owned and operated fellowship that is dedicated to helping you or your children learn how to skate in a safe, fun, and healthy environment. We know that skateboarding can be intimidating and that skate parks are equally intimidating to approach. All of our instructors are passionate and experienced teachers who will stop at nothing to help you build control and confidence on a skateboard. We offer a variety of services to meet the individual needs of every student. Our one-on-one private lessons are designed to help you progress with professional instruction in what ever environment is most comfortable to you. We will even come to your home or work! Our affordable recreational camps and classes are formatted to help students grow together as a team through group exercises, games, and competitions. We already offer classes at local community centers throughout San Diego County. Our philosophy is that building confidence is the most crucial element of learning how to skateboard. All of our programs are centered around helping students develop proper technique, skate park etiquette, and a fundamental understanding of skateboarding safety so that our students are able feel confident and comfortable when they enter a skate park for the first time on their own. Whether you are interested in private lessons, group lessons, classes, or camps all of our programs are guaranteed to introduce you to all the fundamentals of skateboarding in four quick sessions. Students will learn anywhere from 2-10 tricks per hour and will graduate the program with confidence and a sense of accomplishment! Welcome to SD SkateLife offering San Diego's Premier Skate Camps and Skate Lessons! We are a skateboarder owned and operated company dedicated to helping you or your children learn how to skate in a safe, fun, and healthy environment. Our goal is to connect beginning skateboarders with passionate instructors who have extensive experience teaching new skateboarders how to build balance, coordination and confidence both on and off a skateboard. We strive to offer the absolute best skateboarding education services in San Diego County! Our affordable skate camps, classes, and private lessons are designed to help make you feel comfortable and at ease. Whether you are a total beginner or are looking to fine-tune advanced skills, we have the right programs for you! Private Lessons conveniently available 7 days a week at any skate park in San Diego County! SD Skatelife is determined to teach skateboarding lessons in whatever environment is most comfortable for you. We are more than happy to start lessons at your home or at any skate park in San Diego! Our expert instructors will help increase your balance, coordination, and confidence in only four sessions! SD Skatelife is now offering Skateboarding Classes at many locations in San Diego. We proudly offer our class programs in partnership with the City of Oceanside, City of Poway, City of Chula Vista, and City of San Diego Parks and Recreation Departments. Our classes are open to participants ages 5-14 and are guaranteed to show significant improvements in skill, coordination, and confidence. We offer both beginner and intermediate/advanced programs to meet the varying skill levels of our students. Click the links below to get involved today! REGISTRATION OPEN FOR SUMMER 2016 SKATE CAMPS! We are excited to announce a TON of new SUMMER camps! SD Skatelife camps are all about having fun! All of our San Diego skate camps include group lessons, individual instruction, skateboarding games and activities, contests, guest professional demo's, and much more!